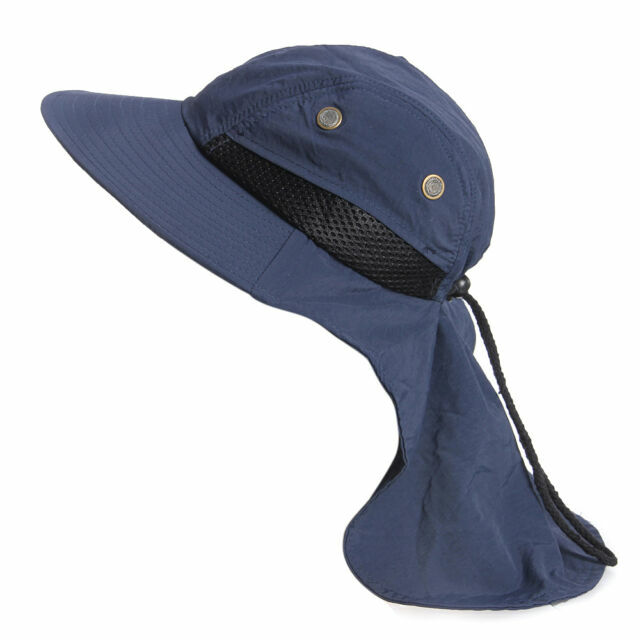 Boonie Fishing Boating Hiking Snap Hat Brim Ear Neck Cover Sun Flap CapNavy blue. Great for Fishing, Hunting, Hiking and most outdoor sports activities. Size:head circumference:55-63CM(Adjustable);Wide brim：8CM;Ear Neck Cover:lenght:20CM,wide:33CM.